Weekend driver. Rita's Car is tobacco smoke, worn leather seats and fresh cut foliage aside a whiskey bag filled with coins used for Saturday night bingo. 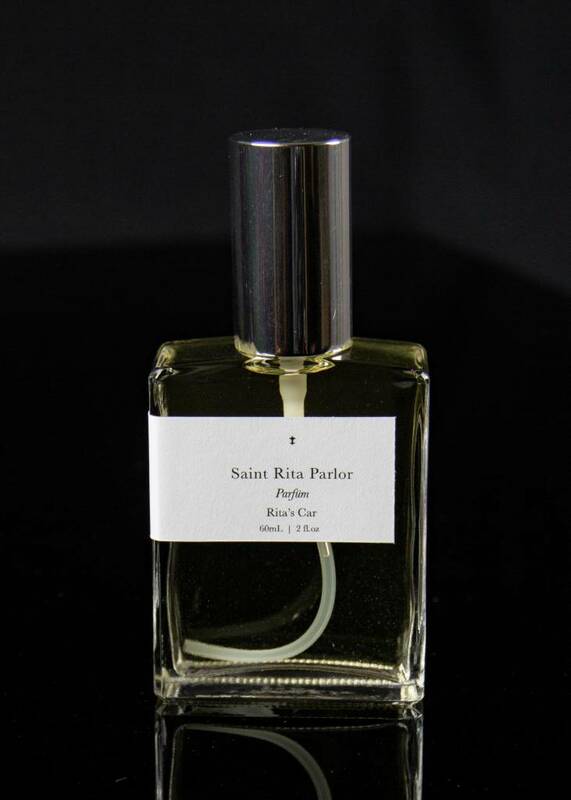 Notes of leather, vanilla musk, tobacco, and fresh cut leaves. 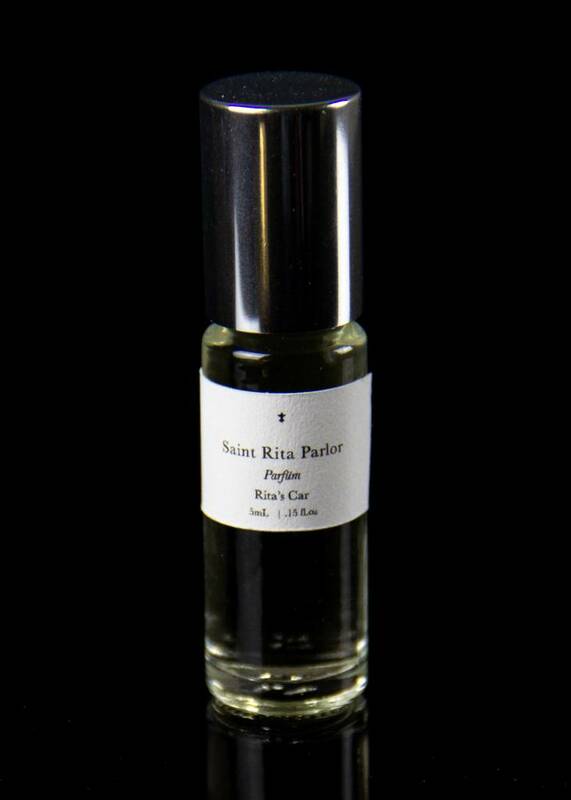 Finest quality parfum. Limited unisex fragrance comprised of over 10 rare and organic essential oils. 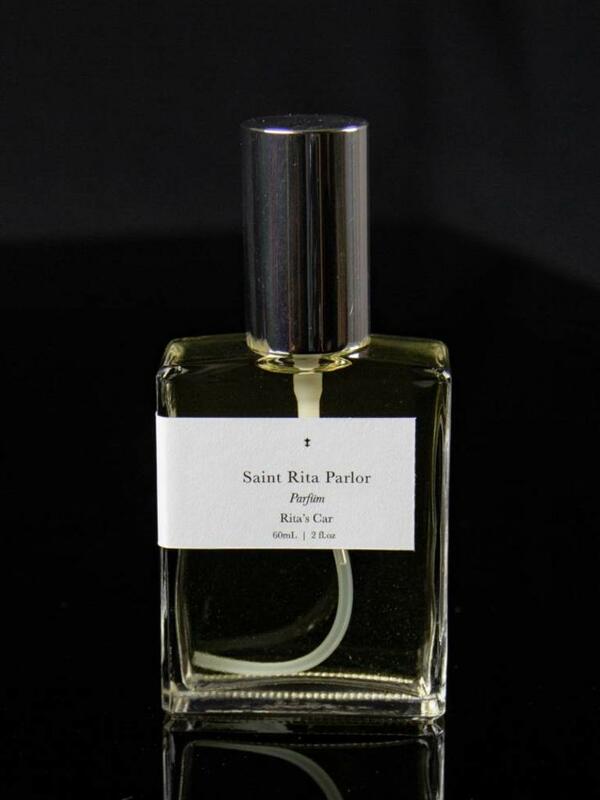 Handmade by Saint Rita Parlor in Los Angeles, California.